In 1956 two new teachers came to Galway; Sue, an English teacher and Richard, a music teacher. The following April they wed. In her undergraduate studies, Sue majored in English and minored in Theater. Her master’s degree was from NYU in Theater Education. Galway Players was started in 1968 by Sue Lukasiewicz. 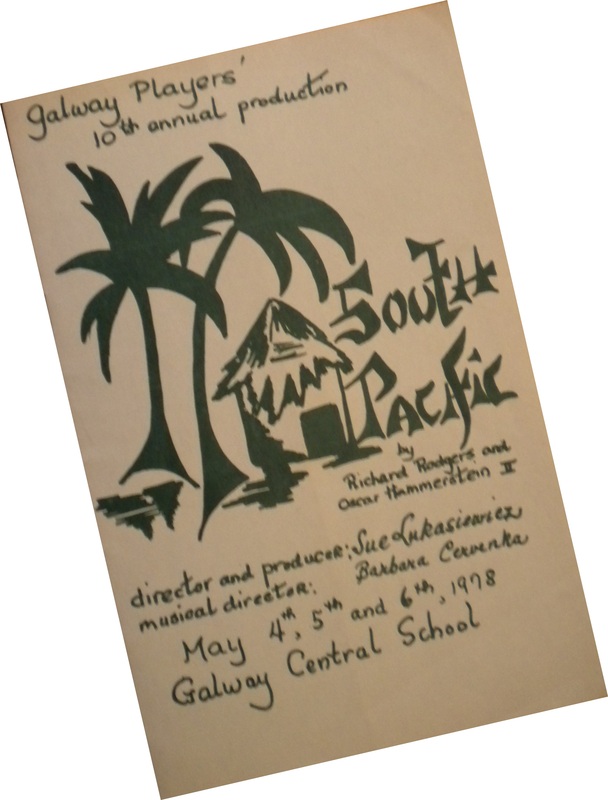 After a few years, Richard helped Sue in bringing musicals to the repertoire of the Galway Players. Sue has retired from her position of director. The Galway community has benefited greatly from her labor of love. Sue, we can’t thank you enough! Be sure to see this year’s play, MY SISTER EILEEN on Friday, May 6 at 7 PM, Saturday, May 7 at 7 PM, or Sunday, May 8 at 2 PM at the Galway High School Auditorium, Cost $7. For more information call 882-9854. This entry was posted in Issue Four - Spring 2011 and tagged Issue Four - Spring 2011, Spring 2011, Spring 2011 Issue Four. Bookmark the permalink.